Embedded in our renowned hardware design is the Microsoft Lync 2010 Phone Edition, offering seamless integration to Microsoft's Lync Server 2010. This combination provides for the fullest Lync feature set available, including simplified installation, management and configuration. 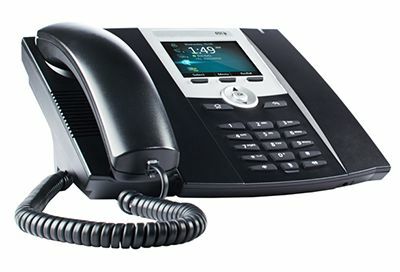 The MiVoice 6721 Lync Phone is an entry level standalone IP phone optimized for use with Microsoft Lync. Its attractive price makes it appropriate for casual users or common areas, yet it has powerful features such as corporate directories and real time presence. This is an ideal phone for Hot-desking applications. It provides a lower cost option for users who require the benefits of a true IP phone, including dual Gigabit Ethernet ports and message waiting light indicator - but do not require the full UC desktop integration capabilities of the MiVoice 6725ip. The MiVoice 6721 Lync Phone features a full colour 3.5" LCD screen. Exceptional voice quality is provided through the use of Microsoft audio codecs in both the handset and hands-free modes.